LOS ANGELES — The man San Diego Police Officer John Perdue pulled over in the Hillcrest neighborhood late last year did not hesitate to admit the smell wafting from his car was marijuana. After the driver said he not only smoked pot recently but did it on a regular basis, Perdue ran him through several field sobriety tests. The man passed them all without a stumble. In the case of a drunken driver, a breathalyzer could have confirmed whether a person was impaired by alcohol. But there isn’t such a device for marijuana. Faced with a driver who confessed to habitually smoking marijuana but no proof the man was impaired at the moment, Perdue decided to let him go. After the legalization of recreational pot in California, law firms specializing in DUI stepped up warnings to marijuana users about being busted. Signs along freeways also have warned drivers that being high on marijuana can get them arrested. A bill proposed in the state Senate last month calls for a one-year driving suspension for any motorist under 21 caught with marijuana in his or her system. But as Perdue’s stop in the waning months of 2017 shows, policing marijuana-induced DUIs isn’t as easy as arresting and prosecuting drunken drivers. And with Proposition 64 now in full effect, police across California are more concerned than ever about stoned drivers taking to the state’s streets and freeways. Unlike Washington — which also made recreational pot use legal — California has not established a “per se” level, such as a 0.08 percent blood-alcohol level, that would make a person legally too stoned to drive. Lt. Rob Sharpe, who works for the Washington State Patrol’s impaired driving unit, said he believes establishing a legal limit for pot is a necessity. “If I don’t know how much marijuana I can consume and safely drive, how can I be held to a standard that it’s unsafe to drive?” he asked. Absent a standard, the final decision on whether an arrested driver was impaired will rest with a judge or jury. California, like other states that have legalized marijuana, now relies on drug recognition experts — police officers trained during a two-week course to conduct cognitive tests and notice other physical signs of drug-related impairment during a motor vehicle stop — to make the initial determination that a driver is intoxicated. Law enforcement officials said they believe these experts are more than capable of determining impairment, even without an objective standard. In addition to those experts, the California Highway Patrol has trained thousands of officers through its Advanced Roadside Impaired Driving Enforcement program, according to Sgt. Glen Glaser of the agency’s impaired driving unit. Glaser said the CHP has no interest in conducting sweeping arrests. But cannabis entrepreneur Virgil Grant said that’s not good enough. Although he wants to ensure that people don’t get behind the wheel if they’ve ingested too much marijuana, Grant is concerned that the lack of an objective intoxication standard could lead to racial profiling in motor vehicle stops. San Diego police have been using two Drager DrugTest 5000 machines during DUI checkpoints since March 2017. Although the devices can detect the presence of the psychoactive compound THC — which shows if a person has used marijuana recently — in a person’s saliva, they cannot tell if a person is impaired. 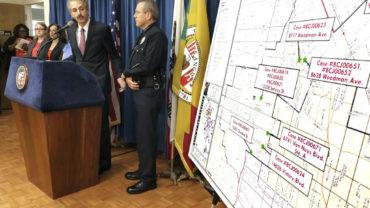 The CHP does not have the devices, and the Los Angeles Police Department is not currently using them in the field. 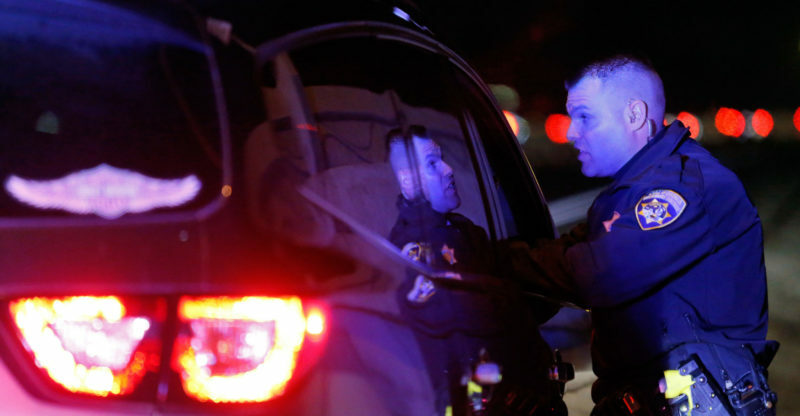 Blood remains the forensic standard to measure intoxication in California, but it can take as long as two hours after a traffic stop to get the driver’s blood drawn. Nearly 70 percent of the psychoactive THC in a person’s bloodstream might vanish within an hour, according to Glaser, and that lag time could weaken a DUI case. Some cannabis users may be taking advantage of this state of flux, he added, especially because its effects are less obvious than effects produced by alcohol. In the absence of more accurate testing, police officers have to make a judgment call to determine if someone is driving high. “There’s a lot of subjectivity on the officers, and it puts a lot of pressure on them, in that moment, to determine what to do without having any forensic evidence to prove it,” said Lou Shapiro, a Los Angeles criminal defense attorney and member of the National College for DUI Defense. It’s also unlikely that a drug recognition expert can be present each time an officer is concerned about a marijuana-impaired driver. The CHP has increased the number of courses it offers to train such officers since the passage of Proposition 64, but there are only 1,549 qualified drug recognition experts across California, according to CHP records. As of December 2016, more than 26 million people held drivers licenses in the state, according to the Department of Motor Vehicles. Drivers in Washington, where recreational marijuana became legal in December 2012, are presumed to be impaired if they have more than 5 nanograms of THC per milliliter in their bloodstream. Statistics show that the number of fatal crashes involving people with marijuana in their system increased steadily from 2013 through 2016, although the data do not clarify whether or not the person was impaired at the time of the crash. The data track people who had carboxy-THC in their system, which can build up from repeated use, rather than psychoactive THC. Recreational marijuana became legal in Colorado in January 2014. The number of marijuana-related crashes reported to the Colorado State Patrol has remained relatively static since 2014, records show. The question of whether California should establish an impairment standard similar to Washington’s has split marijuana advocates and attorneys. Paul Armentano, a California-based deputy director for the National Organization for the Reform of Marijuana Laws, believes establishing a hard cap for intoxication would fly in the face of accepted science. A study published by the National Highway Traffic Safety Administration last year also suggests there is little correlation between THC levels and driver impairment. Shapiro believes the lack of a uniform standard could open the door for unnecessary arrests and fear-driven plea deals. In Los Angeles, Shapiro said, he has seen a number of clients arrested on suspicion of impaired driving this year who almost immediately pleaded guilty to a lesser crime for fear of an effect on their license. Calaveras County Sheriff Rick DiBasilio said California should have had a system in place before legalizing recreational marijuana.